The Captains Flat Project is located 50km southeast of Canberra in New South Wales and covers an area of over 240 square kilometres surrounding the old mining town of Captains Flat. 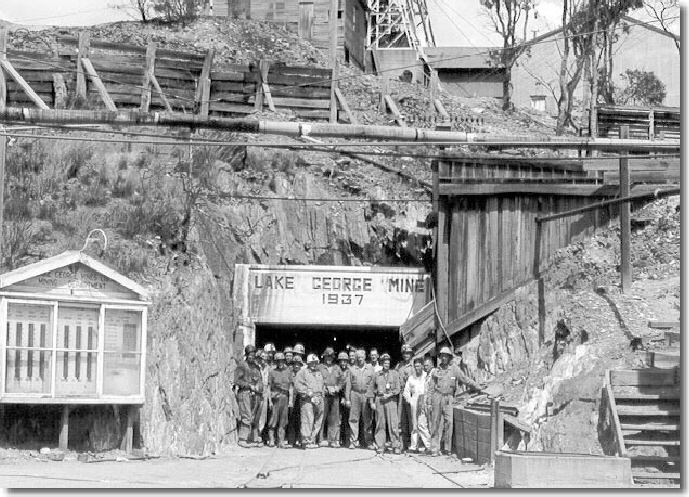 The town is home to the historic Lake George Mine which was first worked during the period of 1882 to 1899 for a recorded production of 26.7 tonnes of silver, 16,100 ounces of gold and 3,841 tonnes of copper from 114,560 tonnes of ore. It was reopened in 1937 and up to the date of its closure in 1962 produced 406,418 tonnes of zinc, 243,851 tonnes of lead, 27,230 tonnes of copper, 7.4 million ounces of silver and 220,000 ounces of gold from over four million tonnes of ore. The mine is hosted in a narrow north-trending suite of volcanic rocks which extends down into Ironbark’s Peakview Project. Several prospects, including, Vanderbilt Hill, Roaches, Anembo and Jerangle, are present along this faulted suite of rocks that have not to date been followed up. 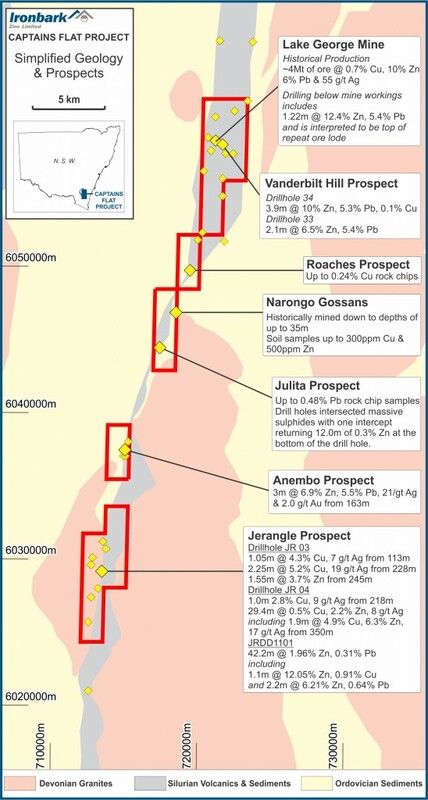 The high-grade Lake George Mine and remains prospective for remnant ore at current base metal prices as well as at depth where results such as 1.22m @ 12.4% Zn, 5.4% Pb were returned over a strike length of at least 300 metres. Mineralisation is open at depth and may represent possible repeats of the historically mined areas.